Computer Fundamentals MCQ – The third set of computer fundamentals mcq questions is here with another one hundred objective questions. Each question has four options and one correct answer. 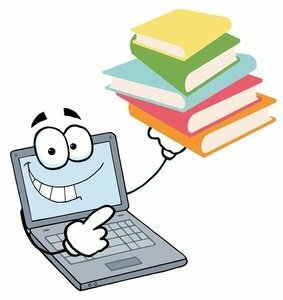 Computer Fundamentals Download will be available as PDF file when all these 650 questions are published. Please check Downloads menu. Stay tuned! Computer Fundamental Book will be available to download as PDF file soon. Please stay tuned! These questions are suitable for IC3 Computer Fundamentals too! You can find Computer Fundamentals Quiz under the Quiz menu that allows you to choose correct answers and find result once you are done with all the questions. Please click Facebook like button to show your support to MCQ Sets. Thank you for liking Computer Fundamentals MCQ page. Other MCQ questions from Fundamentals of Computer are following this post. Stay tuned! (Problem: How does Baudot code exist 32 symbol? Because it was 5-bit code, it could represent 2^5 = 32 different characters. Answer given A but according to Wikipedia it should be C (punched paper tape) . 201. Which of the following is valid statement? Which of the following is the must quickly accessible storage? Obviously, Registers are quicker to access! which statement is valid about magnetic tape? a. It is a plastic ribbon. yesko ans. ta a ho ni sir. Sabina, magnetic tapes are cassettes we were using to play songs. it is a plastic ribbon coated with metal oxide. You could use same cassettes to record again and again, so it can be erased and reused. Thus, all of above is correct answer. which is not a input device? midi is input device. Touch screen is input/output device. which is used in binary code? sir ans is a or b.somewher ans.is a and somewhere b ???? which one is not a hardware? sir i think all are the hardware than ans. is given a in book . i am confused. option A is zip driver and it is software.